The Leadership Summit puts participants at the intersection of policy and practice. Sessions are unique and relevant, while presenters challenge us to rethink, reinvent, and refocus. This year's presenters include national experts, elected officials, and school leaders. SPONSORSHIP INFORMATION - Increase the effectiveness of your marketing dollars instantly by becoming an Alliance sponsor! 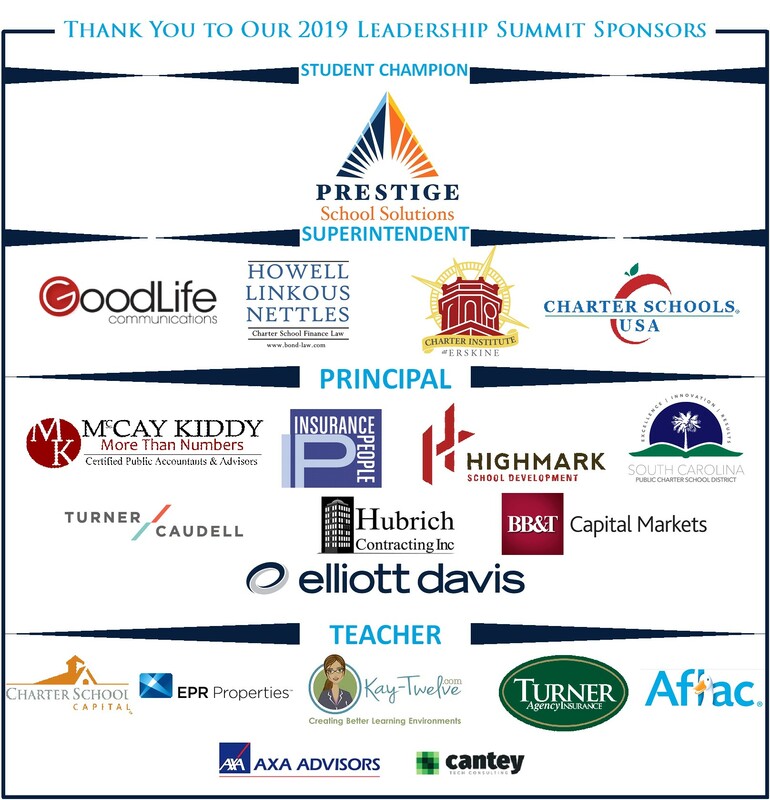 All our sponsors are recognized prominently before, during and after the event as leading supporters of charter schools across the Palmetto State. For more information CLICK HERE.